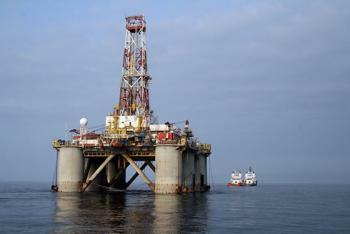 It's situated in the western deep offshore Niger Delta. To the immediate north of the block is OPL 324 of petrobas and one step further up north is the shell operated OPL 322, where a recent discovery (Bobo 1x) has been encountered at 2,479 meters depth. Further north-east of the OPL 326 are the Prolific Bonga (shell) and the Aparo (chevron). Bonny is a Local Government Area (LGA) and an Island town in Rivers state, Nigeria. It is the capital of Bonny Kingdom. The crude oil produced here is popularly known as "Bonny Light Oil". Much of the oil extracted onshore in Rivers State is piped to Bonny for export. It has the biggest LNG Gas Plant in Nigeria with six (6) trains.